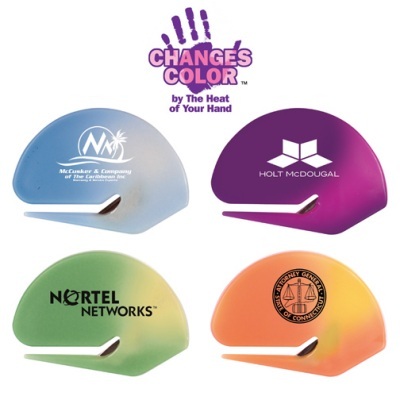 Promote your business with Promotional Mood Letter Openers. We can print spot colors on these Mood Letter Openers. These make great give-aways for special occasions. Letter Openers that change colors simply by the heat of your hand are always an attention getter. To add a magnet on the backside of your Mood Letter Opener, add $0.10 per piece. Color Changing Mood Letter Openers are available in blue changing to white, purple changing to pink.